E. Mickiewicz. Split Signals: Television and Politics in the Soviet Union. Oxford University Press, 1988. E. Mickiewicz. "The Conundrum of Memory." The Post-Soviet Russian Media: Change and Conflicting Messages Birgit Beumers, Stephen Hutcheson and Natalya Ryulova (February 1, 2008). E. Mickiewicz. "Icon Anchors." The Politics of News, The News of Politics Doris Graber, Denis McQuail, Pippa Norris (2007). E. Mickiewicz. "Does 'Trust' Mean Attention, Comprehension and Acceptance? Paradoxes of Russian Viewers' News Processing." Mass Media and New Democracies Katrin Voltmer (2006). 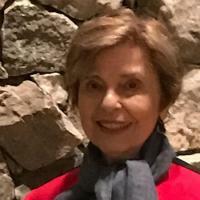 Ellen Mickiewicz (Ph.D., Political Science, Yale) is the James R. Shepley Emeritus Professor of Public Policy and Political Science. Her work on media and society compares Russian and American attitudes toward news and questions of media and society in authoritarian systems. Guidebooks presenting policy options for fair and adequate coverage of elections have been translated into 13 languages. In the administration of Boris Yeltsin, a presidential directive explicitly noted the use of the guidebook in creating legislation, and she became the first American to be awarded recognition in a Kremlin ceremony for contributions to freedom of the press in Russia at that time. Mickiewicz’s research results in policy applications: through the Commission on Radio and Television Policy (founded by former President Jimmy Carter and directed by Mickiewicz), leading figures in news programming, regulation, the Senate and House of Representatives, and public opinion leaders from the United States met annually with heads of television broadcasting, ministers of communications oversight, heads of broadcast technology and public opinion specialists from the former Soviet Union. From 1995 to the present, work continues with Mickiewicz as co-chair with former Vice Chancellor of Austria, Erhard Busek. Meeting in Vienna and in South and South-East Europe, policy issues are discussed and recommendations made and widely circulated; they carry the weight of the signatures of numerous high-level participants from many countries. Her research explores the effects of the introduction of mass ownership, comparison of news content with the ABC News in the United States, in-depth analysis of the institutional, personnel, political change in television as it developed from Soviet to post-Soviet. Her research has gone into unexplored territory of how citizens of different educational levels, ages, and places use mental tools to make sense of or reject televised news stories. Most recently, she examines future Russian leaders and the impact of the internet to their understanding of their own country, other countries, the complexities of trust and related issues. Mickiewicz is currently working on American and NATO foreign policy perspectives on hostile internet and television broadcasting, particularly what is termed the “weaponization” of information by the Russian Federation. She examines the theoretical and political basis of this concept and the larger issue of persuasion under these conditions. She is also working on a collaborative project with political science and sociology professors at Moscow State University to design and implement the study of attitudes toward the international system. Her work has been widely covered; she has received numerous awards, including a Guggenheim, The Murray Edelman Award for Distinguished Scholarship in Political Communication, from the Political Communication Section of the American Political Science Association, and, from the National Association of Broadcasters and the Broadcast Education Association of Electronic Media Book of the Year.